What Is a Battery Rundown Protection Relay? As the name implies, a battery protection relay keeps the battery from becoming discharged. The relay prevents electrical accessories from draining energy by disrupting the power supply. The battery could be unintentionally depleted by an accessory device that was left on purposely, or by some malfunction that could keep a device powered up for an extended period. A timely response from a protection relay safeguards the battery and ensures that proper charge levels are maintained for engine cranking. Timers are triggered by various means to initiate function of the relay. The primary purpose of a battery protection relay may best be illustrated by an illuminated glove box. When the glove box door is opened, a spring-loaded switch plunger extends as the door moves away from the latch. Normally, the switch plunger is depressed by the door as it closes and latches, disrupting the flow of power to the light, like in a refrigerator. The light in a glove box could remain lit after the door closes, if the latch is out of adjustment or if the switch is faulty. 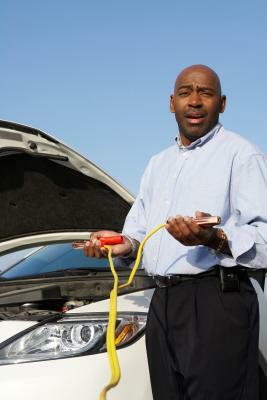 No real harm is done as long as the vehicle runs, as the charging system easily meets the demand. However, the tiny lamp, concealed in the closed compartment, can draw the battery into a weakened state overnight. The relay cuts off the power to the lamp after the allotted time and no ill effects are suffered. Automotive electrical relays are used to keep the heat of the electric load away from more delicate parts, like small switches. A coil of fine copper wire is wound around a tiny iron core inside the relay. A magnetic field is generated by the coil, when energized, and the field attracts a thin metal lever suspended above the coil. As the lever moves toward the coil, it contacts a post to complete a particular circuit. 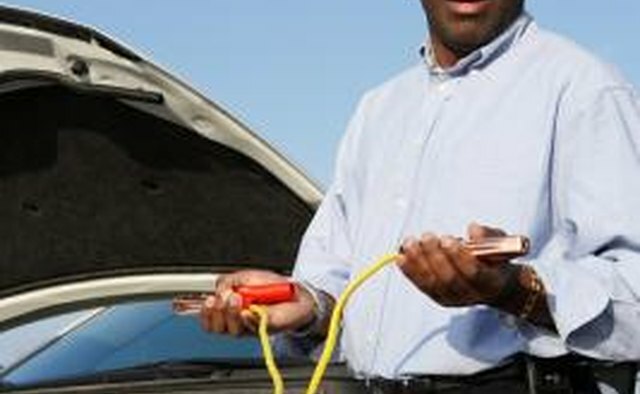 Battery voltage is normally present at the relay coil any time the ignition is on, and the coil is energized when the ground circuit is completed by a switch or computerized module. The glove box lamp is prevented from operating after the ignition switch is turned to the "off" position, thanks to the battery protection relay. The same can be true for dome and map lights in a basic system. The time-delay feature prevents the relay from shutting off lights or other convenience accessories that may be required temporarily. Several relays and circuits can be involved to allow function of lamps meant to illuminate the immediate area to provide safe footing or personal security. Removing the key from the ignition may initiate a procedure for the dome light or other accessory, while opening a passenger door could trigger another response or extend the time-delay. Although relays are used to power electrical accessories, the ground circuits for the relays are sometimes controlled by computerized modules. The integrated circuits are composed of semiconductors and are considered to be solid-state, as they contain no moving parts, like those in a relay. Where relays use electromagnetism to close a mechanical switch, solid-state components employ diodes and micro-chips to complete ground circuits that enable or disrupt certain functions. Such modules may be tasked with protecting the battery, or turning on the correct lights at the right time of day or night, to keep vehicle owners out of harm's way.